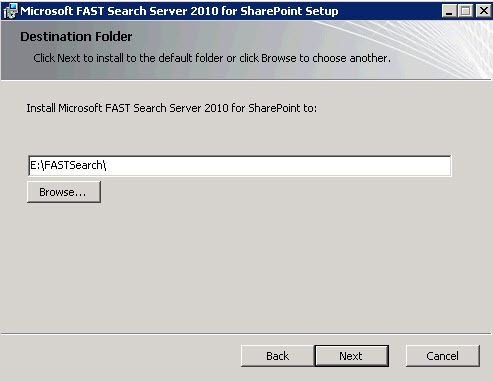 How to install and configure Fast Search 2010 in SharePoint 2010? 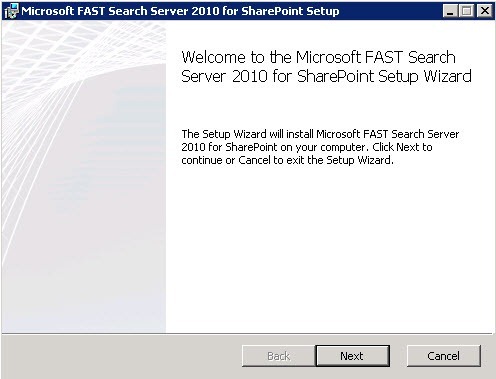 Microsoft FAST Search Server 2010 for SharePoint is a new search solution that delivers the power of FAST with the simplicity and TCO of Microsoft. It provides the best general productivity search on the market AND makes it easy and economical to build high-value search applications. 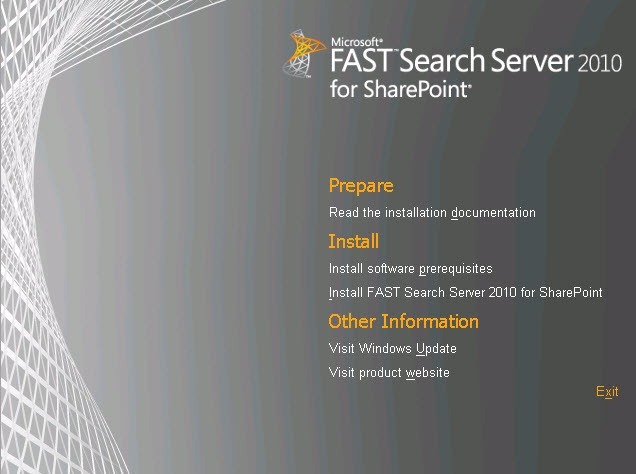 To install Microsoft FAST Search Server 2010 for SharePoint as a stand-alone deployment (single server deployment) or multiple server deployment, perform the tasks outlined in this overview. 50 GB disk 1 terabyte disk space on RAID across 6 spindles or more. 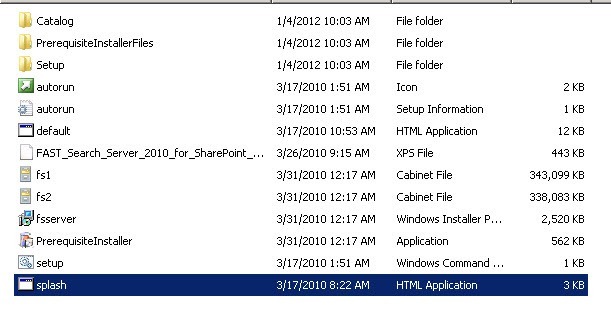 Do not install SharePoint Server 2010 and FAST Search Server 2010 for SharePoint on the same server. 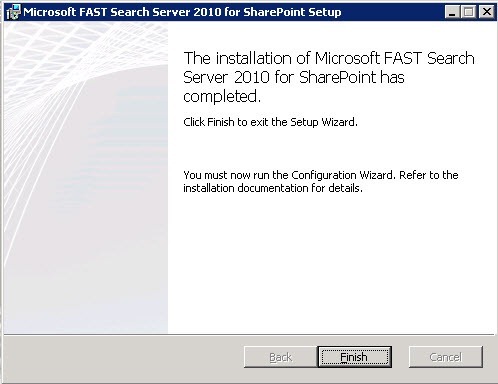 Both standalone and server farm installations of SharePoint Server 2010 can be used with FAST Search Server 2010 for SharePoint. 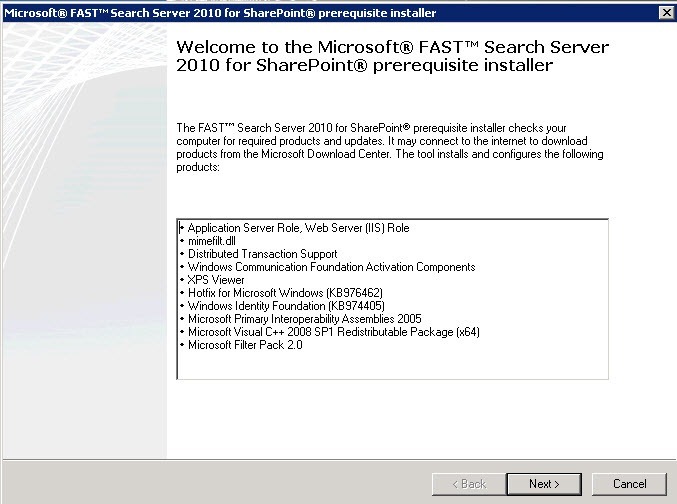 To enable FAST Search functionality on SharePoint Server 2010, you must have an Enterprise License on SharePoint Server 2010. To enable document preview in search results in FAST Search Server 2010 for SharePoint, you must install and configure Microsoft Office Web Apps on the SharePoint Server 2010 farms that you index content from. 6. 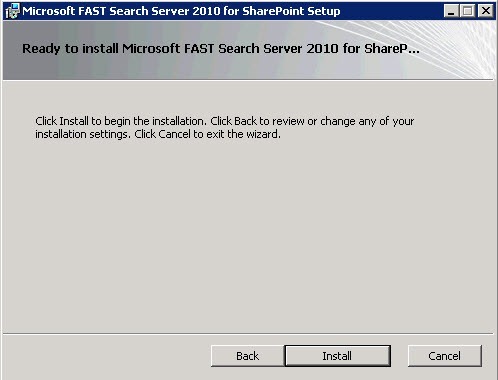 The installation of Microsoft FAST Search server 2010 for SharePoint has completed. Click Finish to exit the setup wizard. You must now run the configuration wizard.